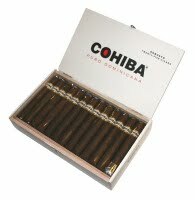 COHIBA BLACK is the first line extension of the venerable COHIBA brand in five years. 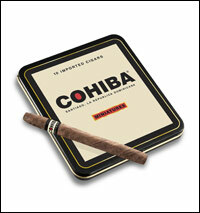 Cloaked in an eye-catching, solid mahogany box, this super premium expression of COHIBA is available in four frontmarks. COHIBA PURO DOMINICANA - the first Dominican COHIBA Puro! During his second voyage to the New World in 1496, Christopher Columbus revisited western Hispaniola, which is now known as the Dominican Republic. To his surprise, he discovered that the Taino Indians of Hispaniola were smoking leaves of cured tobacco. "Cohiba," they called it. 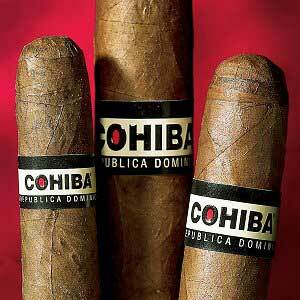 Today, COHIBA remains as much a part of Dominican history as ever with COHIBA PURO DOMINICANA.